Satellite imagery can tell us who is preparing to attack, the general location of their targets, and how violent the onslaught will be. On September 22, SSP captured imagery of troops and heavy artillery massing within striking range of the then-rebel stronghold of Kurmuk, Blue Nile, Sudan. We recognized the potential disaster and immediately issued a human security warning, enabling the people of Kurmuk to flee house before the bombs began to fall. The example of Kurmuk illustrates the Satellite Sentinel Project's ability to serve as an early warning system. SSP identifies artillery build-ups and issues human security warnings to people in danger of attack. Imagery showing aircraft, tanks, trucks, and troops can provide compelling evidence of attacks soon to come. SSP accurately predicted Sudan Armed Forces, or SAFs, invasion of Abyei in May 2011, including the road invading forces would use. The elevation of dirt roads on a seasonal schedule is not rare in Sudan, but it is necessary for tank and heavy artillery movement. We documented this elevation in areas where roads were not traditionally elevated. SSP identified artillery in camps around the Abyei region and elevated roads connecting these camps to Abyei town. Reported weapons consistent with the tanks, helicopters, and mobile artillery identified by SSP were all apparently used in the attack. Now we see history repeating itself – this time in the Kauda Valley of the Nuba Mountains, South Kordofan, Sudan. SSP's analysts documented the construction of elevated roads leading towards the Kauda Valley from areas controlled by the Sudan Armed Forces. This is consistent with the road construction our analysts documented around Abyei before the Sudan Armed Forces invaded in May 2011. Based on this analysis, on January 25, 2012, SSP issued a human security alert after noting the building of elevated roads, lengthening of airstrips, and troops capable of rapid deployment to the Sudan People's Liberation Army-North, or SPLA-N, controlled Kauda Valley, South Kordofan. March 16 Four light trucks are identified in the military installation near the Diffra SAF base (imagery), near a checkpoint identified by fortification and the road stop/speed bump. 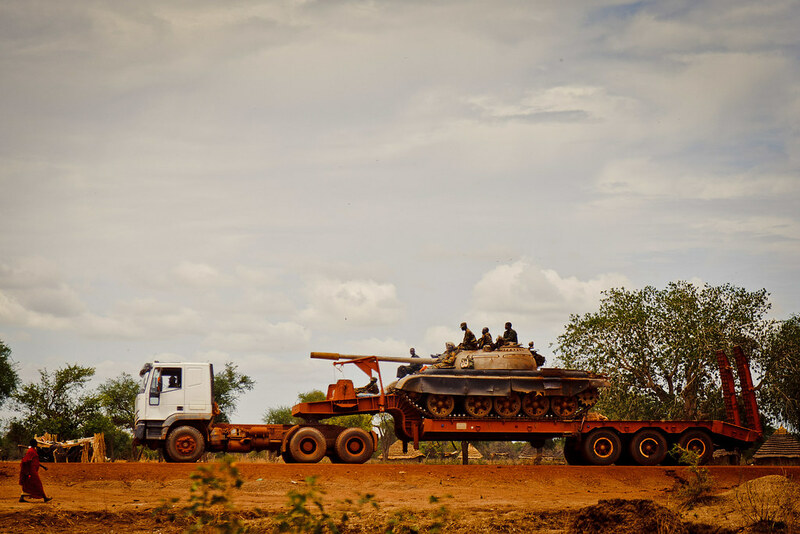 June 2-August 9 The Government of Sudan’s Central Reserve Police, or CRP, builds up vehicles and personnel present in Kadugli, South Kordofan. 1. A SAF convoy is seen traveling through Kadugli, South Kordofan. The convoy includes approximately 1000 troops, 80 vehicles, including light vehicles, heavy transports, and towed artillery. 2. Heavy transport planes are at the Kadugli airstrip in South Kordofan. September 21 SSP identifies an approximately brigade strength SAF force within 40 miles of SPLA-N controlled Kurmuk, Blue Nile State, Sudan. 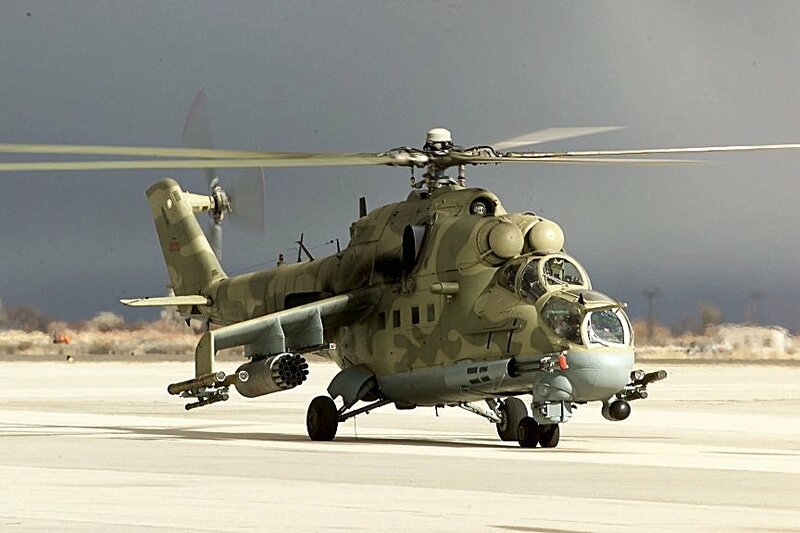 October 24 SAF expands the airstrip at El Damzin, basing three attack helicopters and one Antonov. This indicates SAF’s increased air power based in Blue Nile state. November 2 SAF takes control of Kurmuk, Blue Nile, Sudan and works on upgrading the airstrip, making it SAF’s closes airstrip along Sudan’s border with South Sudan. SAF built four new helipads at the base.